At the beginning of 2018 I moved to China to live in a city of 18 million people. The journey so far has been fascinating in many ways and tough in others. Giant studio… reactions to the horrific reality of Chinese Politics. Chinese New Year 2018 was spent navigating the Tibetan border and experiencing the largest, most southern Chinese Glacier, Hai Lou Gou, Moxi, Sichuan. & subsequent regular explorations of sacred peaks, decorated with deeply peaceful, ornate Temples exuding incense and prayer chants. Sleeping up high, in blissfully basic Monasteries, blown by wind, kissed by snow. City life is adorned with sadness due to the increasing speed of expansion. Rising destruction surging upwards, fast and thick. The reality of universal devastation due to Chinese carbon emissions, especially within the Polar regions. 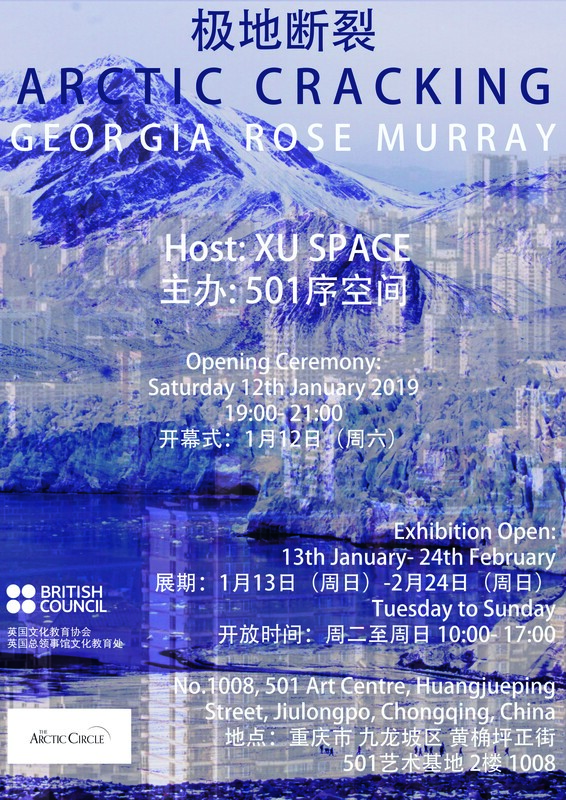 Scottish Artist, Arctic researcher, Lecturer in China. Responsibility to communicate.